1 Billion Floors! 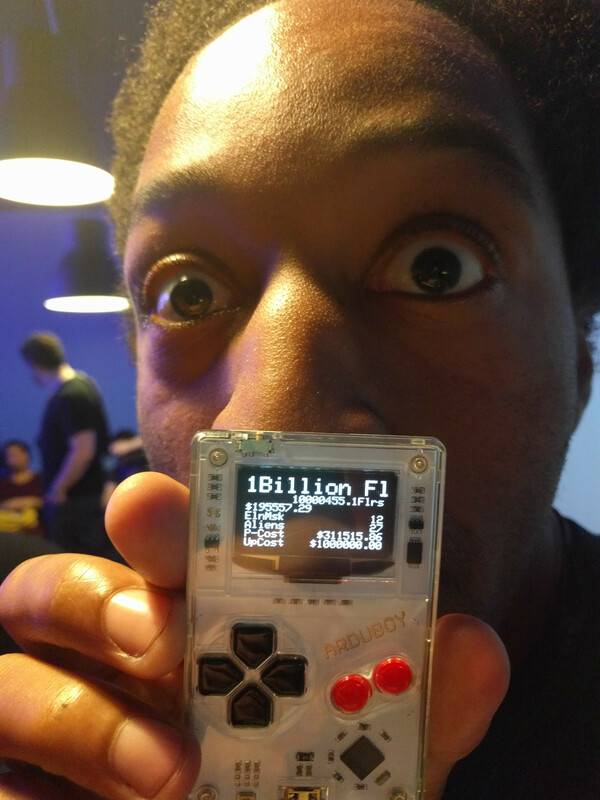 is a Cookie-Clicker style game based off the XKCD "What-If" Billion-Story Building made for the Philly Dev Night What-If Jam. Since a Billion-Story building would be quite large (and I had just received a new toy) I decided to make the game on something very small: an Arduboy. You will have to build the game from source using the Arduino IDE. Have fun!